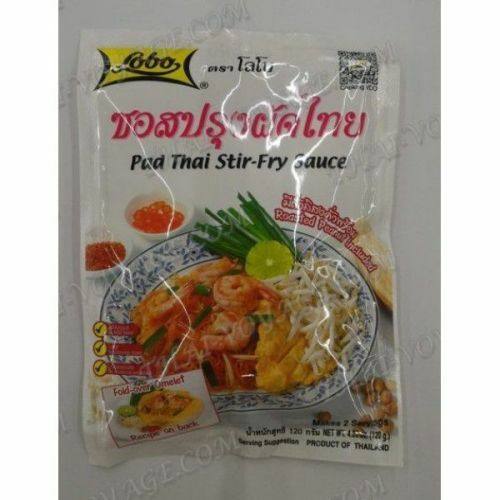 Pad Thai Stir-Fry Sauce Lobo is designed to make one of the most popular dishes Asian cuisine Pad Thai. It is very delicious and nutritious dish, a cooking technique which allows to save all useful properties of the products. It is usually made with shrimp, but they can be replaced with squid, fish, chicken or pork. One package is enough for making 3-4 servings. Main ingredients: sugar, roasted peanuts, tamarind paste, shallots, fish sauce, tomato paste, garlic, refined soybean oil, vinegar, salt, chili pepper.